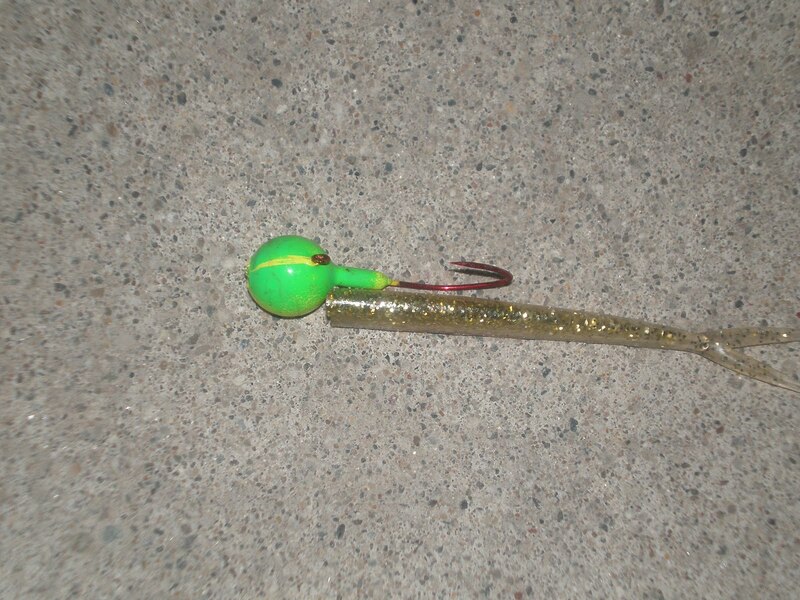 Hooking a plastic minnow to a jig-head does not sound hard but I have saw many struggle with this simple task. Many beginners just thread the plastic minnow onto the hook and call it good. They then proceed to jig for hours wondering why they are not getting fish. On some days, the fish will not care how the minnows are hooked and hammer the bait regardless of how it looks. However, If the fish are not cooperating, they can be picky with what they eat. To be successful all of the time, anglers need to try to make their plastic minnow look as natural as possible every time out. Check out how I hook my plastic minnows. 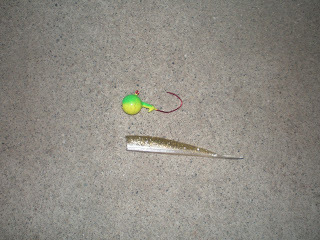 I am using an RJT jig and a 4 inch Fin-S minnow in the demonstration. 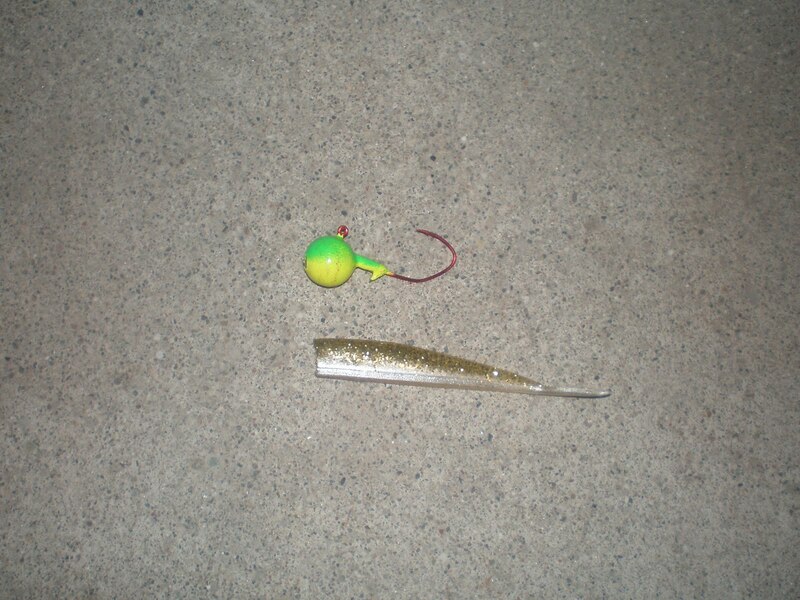 The materials- A 5/8 ounce jig and a minnow plastic bait. 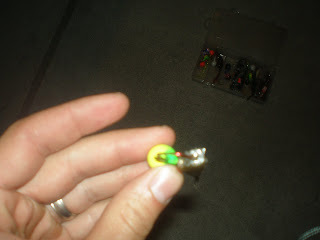 I bit off a quarter inch of the bait so it fits perfectly on the jig. Put the bait next to the jig. 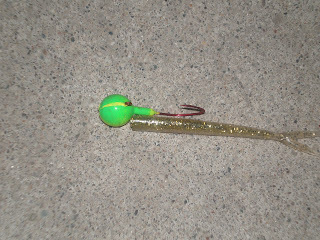 Notice where the hook needs to come out so the plastic minnow doesn't bunch up. 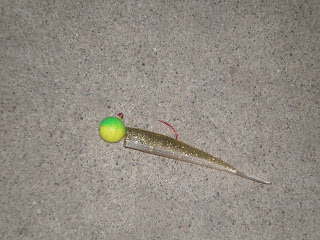 Thread the hook through the plastic minnow bait. 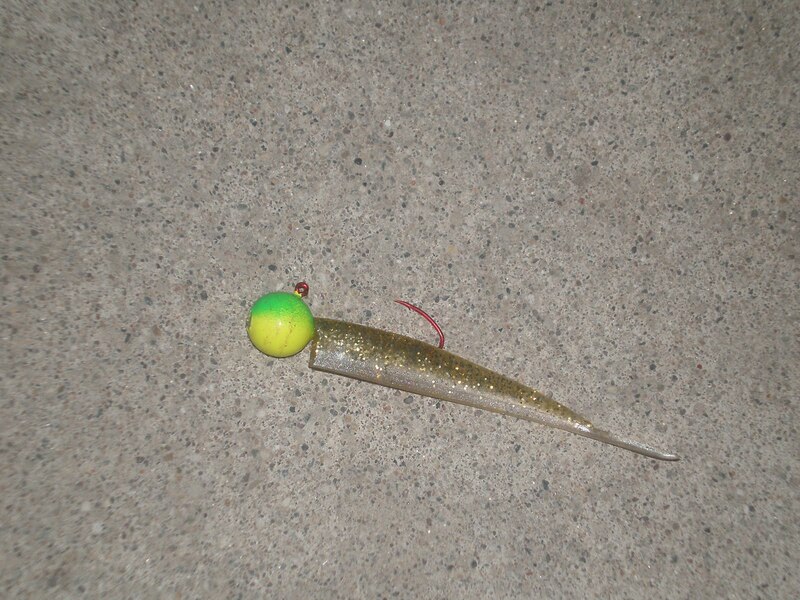 Make sure it is directly in the middle of the bait. 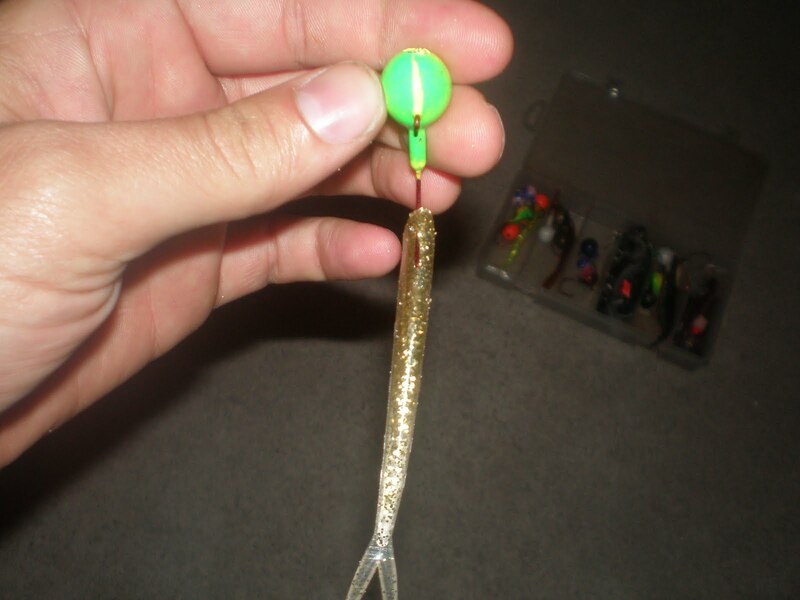 Continue threading through the hook until it reaches the spot you made a mental note of in step two. Pull the hook through and you are good to go fishing.